"ABANDON ALL HOPE WHO ENTER HERE..."
This website is a collection of information based on personal interviews, archival research, material found inside the buildings, and thorough exploration of the buildings themselves. Many of its sources can be found in the LINKS section. This is in no way a complete history, but hopefully it will satisfy the casually interested as well as the devoted historian. 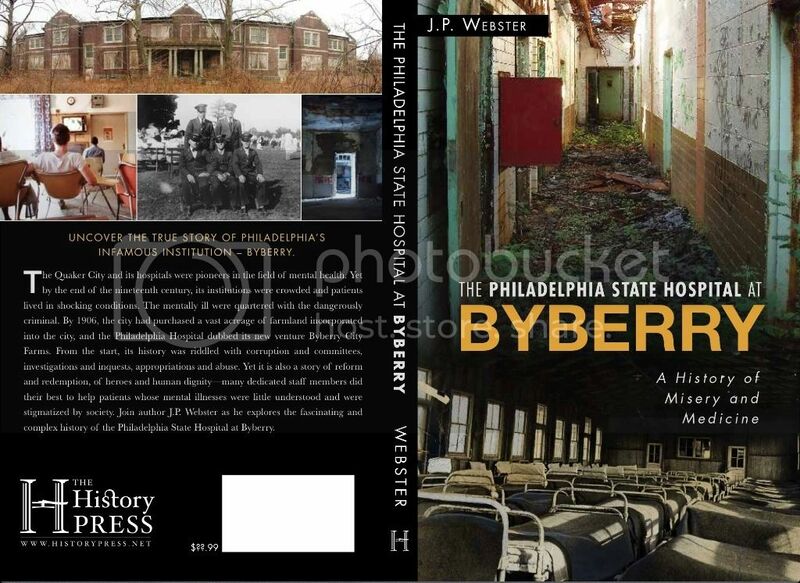 For more than a decade, rumors abounded that Philadelphia State Hospital (Byberry) was to be closed. In 1985 and 1986 a series of events took place that gave rise to questions of negligence, patient abuse, and the deaths of several patients. Other issues that added to the call for closure of Byberry the reported excesses in the use of chemical and mechanical restraints and seclusion. All of these allegations helped the then governor of pennsylvainia, Richard Thornburg, to initiate investigations. The first was conducted by the Blue Ribbon Committee, a group of professionals and non-professionals hand picked by the Thornburg administration. The second was composed of state employees from various departments and discipines with the title of supervisor or above. The actual announcement of the closing of Byberry was made by the newly elected administration of Governor Bob Casey. "In May 1987, the Commonwealth of Pennsylvainia appointed a task force subsequently called the Blue Ribbon Committee to review the operation of Philadelphia State Hospital, to evaluate its treatment of patients, and to look into allegations of patient abuse"
On December 7, 1987, a press conference was held concerning the closing of the hospital. At this time the media were informed that the hospital was to be closed permanently by December 7, 1989. 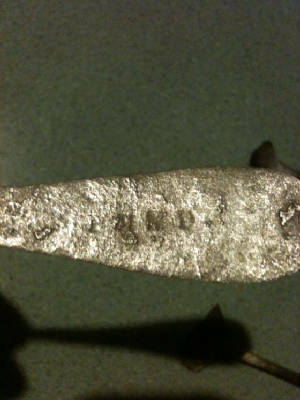 The reasons cited were reports made by the two investigative teams. 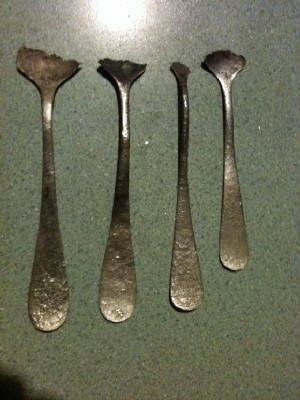 Reportedly, they had found conditions at the hospital to be "atrious" and "irreversable". The amount of negligence, and types of patient abuse were intolerable. Benjamin Rush Park- a Byberry burial ground? The recent interest in redeveloping Benjamin Rush Park has brought about new questions about byberry's long forgotten past. The new plans for the proposed changes at the park show an area near the end of Burling avenue marked as "Historical Burial Ground", and no disturbance is to come of this area. The area south of Burling avenue and west of Townsend road (or where Townsend road used to be, now part of several industrial buildings) was the northeastern extremity of the first tract purchased by the city in 1903, the Keigler tract (see page 4 of the by-line). The area was the edge of the city's property boundary, and was very closely touched by the Poquessing creek. It makes perfect historical sense that this is where thousands of patients are still resting in the earth. Questionability is given to the fact that Benjamin Rush Park, despite several rehabilitation efforts, has remained completely undeveloped. 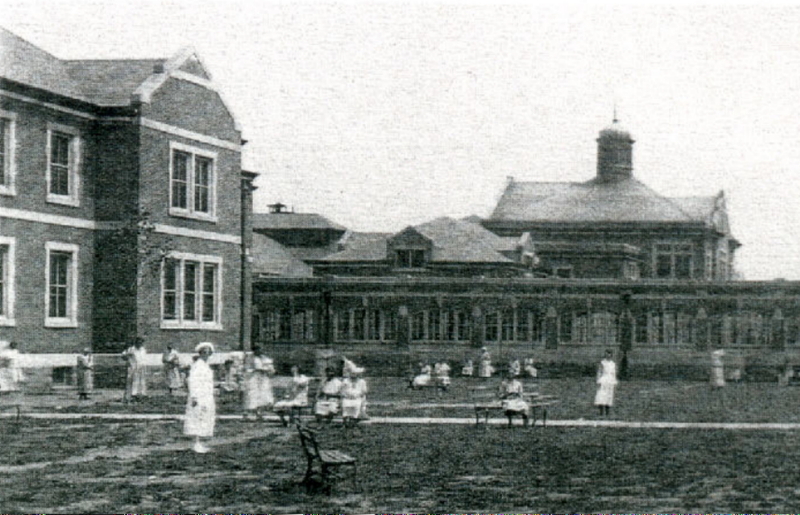 Byberry under city control (1906-1938) never had a mortuary or morgue and no mention has ever been heard of a cemetery or burial ground for the patients, although it was always commonplace at a mental hospital to have a cemetery for the patients. This has remained a huge mystery about byberry. The period in question is byberry's initial years under city control. In the 1920's and 30's, inspection after inspection revealed that the hospital's records system was was almost non-existant. Patients records seldom contained even a photo of the patient, making indentification practically impossible. Therefore it is almost certain that records of deaths and burials during the period of city control do not exist (if they ever existed at all). During state control (1938-1990), a much better records system was kept. The city's potter's field, near Dunk's Ferry and Mechanicsville roads, which does not appear on maps until the 1940's, was where the state inturred most it's patients. But the city's terrible track record of illegal disposal of it's buried dead speaks volumes in a case like this, and the fact that Benjamin Rush Park is still owned by the state draws questions. Is the park like Franklin Playground in Kensington, where it was known, until their removal, that bodies from the "relocated" Franklin Cemetery were still under the earth. According to the Friends of Poquessing Watershed and the book "A History of Byberry and Moreland", there is a very small burial ground at the end of Burling avenue that was donated by the Byberry Friends Meeting in 1780 to the township for the burial of "colored's". It is only about a quarter-acre in size and is basically a small patch of trees, the dead below long since forgotten. This is probably what the park map is referring to as "historical burial ground", although the location isn't quite correct. But it brings up the long asked question: "Where were byberry patients buried when they died?" It has always remained in question where the dead were buried. Are they still trapped in the earth beneath where they once lived? ***Special thanks to Alison Bennington for contacting the Friends of Poquessing Watershed and shedding some light on the subject! Albert Kohl was the first of four sons of Jacob and Mary Kohl of Northern Liberties. The Kohls were a working class family. Jacob was a tailor. Albert was born in the Kohls' featureless, two story rowhouse at 1227 Callowhill street on February 17th, 1878. His cause of death is listed as "infant fever", most likely Typhoid, which claimed the life of many young children in the late 19th century. He was buried at Glenwood Cemetery, near 24th and Diamond in the Strawberry Mansion section of the city. How did his tombstone wind up all the way up on the city's northern border, almost 19 miles away? Well, good ol' Philly-style corruption, thats how. Glenwood Cemetery was laid out by the Odd Fellows of Philadelphia in 1852. It was approximately 90 acres and contained mostly members of the Odd Fellows until the 1880s, when the diversity of denominations began expanding. The Odd Fellows sold the property to a private company in 1894. It became the resting place of thousands of philadelphians and contained many large, ornamented gravestones. But by the early 1920's, as industry closed in around Glenwood Cemetery, it became a less and less desirable final resting place for many of the area's residents. By 1928, with a reported "overpopulation" (the owners had begun triple stacking bodies in many areas), the cemetery had pretty much gone bankrupt. The property sadly sunk into ruin and became a dumping ground by 1935. In 1938, the city launched a campaign, after years of complaints from neighbors, to remove the bodies and clear the land at Glenwood to build a new public housing project, which still stands on the site today. The bodies were to be moved to the "Glenwood Cemetery" in montgomery county that was to open by 1940. The Republican Machine was in full swing and the newly elected mayor, Bernard Samuel, began his graft-filled term. Work began on Glenwood in 1939 and was completed by 1944 for returning servicemen. The Vare Machine's construction contracts were already in place, and the Machine's contractors, W. Mark and Co. naturally received both jobs. It's not hard to imagine what happened next. The foundation pits for the new buildings at byberry were the perfect place to dump tons of unwanted materials from other job sites. No one would ever find out, at least, not while they're alive. This is only one of several cases in Philadelphia during the term of mayor Samuel that cemeteries were moved illegally and cheaply. Glenwood cemetery contained over 30,000 graves, and the new Glenwood Cemetery only records 22,000 graves moved from the old Glenwood. 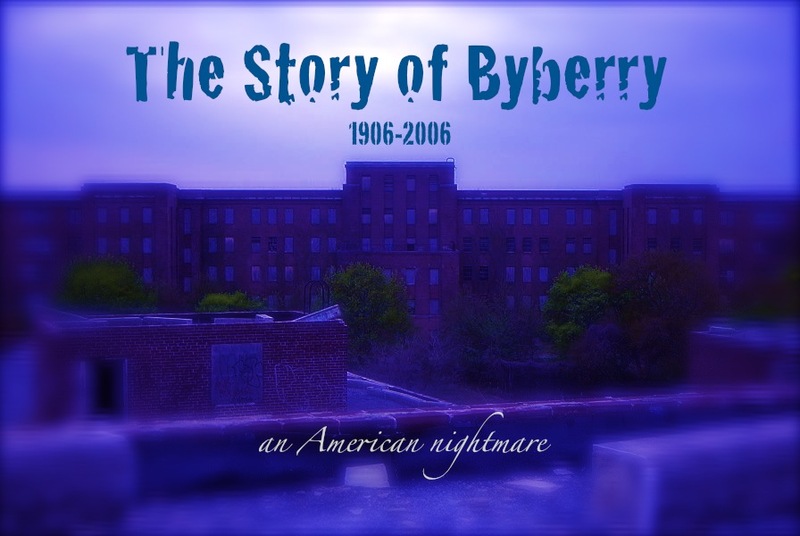 Finally, a comprehensive, detailed history of Byberry. The end result of my decade long obsession with PSH is this 176 page chronological story of one of America's most notorious mental hospitals. Published by History Press, it features 75 images from the State Archives in Harrisburg, Temple University Urban Archives, the Historical Society of Pennsylvania, the Philadelphia City Archives, and the Athenaeum of Philadelphia, as well some of my own photos and ephemera. In the years since the hospital's closure its story has been twisted and demonized, and misinformation has clouded its reputation. For anyone who has shared my fascination with Byberry, this is the book for you. The story is a wild ride, and I hope it helps to shed light on Philly's closet of skeletons. It is available at Barnes and Noble stores, and online at Amazon.com. It is also available for Kindle. My second book! Get to know Philly from the inside out with this collection of over 75 full color photos of 14 abandoned locations. It features the detailed histories of each iconic site, and how their presence effected Philadelphia, for better or worse. 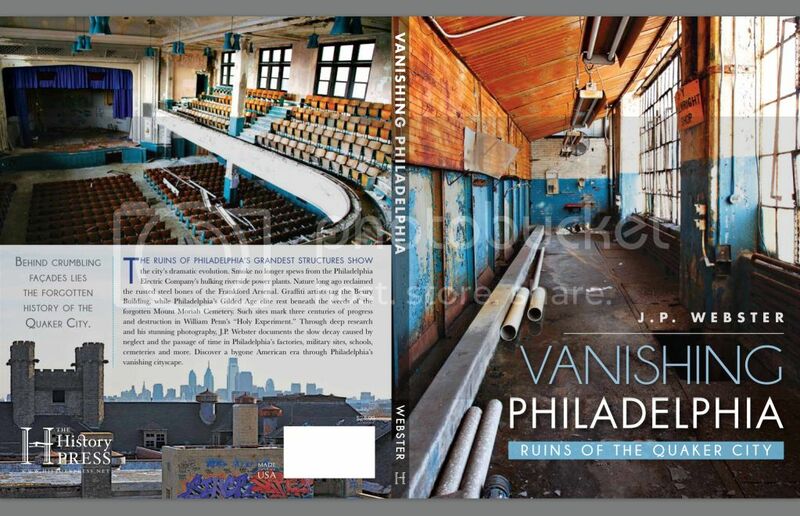 For anyone interested in Philadelphia's mysterious, yet iconic vacant buildings, this is a must-have. 168 pgs. paperback. 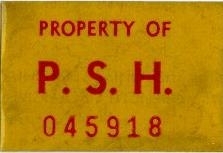 Publisher: The History Press. Available at Amazon and Barnes and Noble stores and online. Digital version also available.